Elizabeth Power, M. Ed. helps people learn, grow, and change. Since 1982, she has helped hundreds of organizations cope with change, develop their people, and serve others more effectively. Her work is shared among the corporate, educational, non-profit and faith community sectors, with significant focus on trauma, disability, and affective education--particularly as she helps people reduce the challenges of doing the work they do. She is partiuclarly recognized for her work in Trauma-Informed Care, Trauma-Responsive Systems and for implementation of Sidran Institute's Risking Connection(r) addressing people at all levels. She is a frequent speaker and trainer as an adult learning professional with lived experience of trauma-related issues. Successful Meetings Magazine named Elizabeth Power as one of their “Hot 25 Picks” of speakers to watch along with Colin Powell, Greg Louganis, Molly Ivins, and Guy Kawasaki with whom she shared the cover for her focus on coping with change using "porch stories" from Appalachia. She has been a media presence on talk shows such as Faith Daniels and Montel Williams in the early 1990s talking about her experiences with dissociation as natural consequences of everyday events--the "little t" traumas. Wherever she goes, she provides hope and healing with a generous portion of humor and goodwill. Elizabeth has been featured on National Public Radio’s “Marketplace” with David Brancaccio, the Voice of America, in the US Japan Business News, and on NBC News and in other business publications talking about the power of choice in the face of change, trauma, and dissociative phenomena. She has been interviewed by Univision and El Diario Juarez for her work in Juarez on helping communities recover from violence and manage the vicarious trauma that living or working with toxic stress causes. 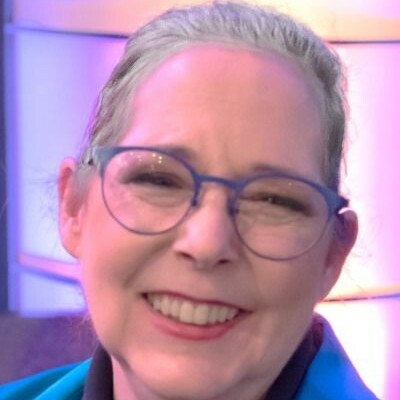 She has published more than a dozen books, articles, computer based training programs and corporate games including numoerous contributed chapeters in the John Wiley & Sons NonProfit Management Handbook. Her newest book is “How to Get Happier and Why You Should Try To." Her company’s clients include the National Center for PTSD, educators in South Afric, the National Child Traumatic Stress network, General Motors, United Way Worldwide, and J.D. Power and Associates. Whether she is being serious or funny, you can count on the fact that she knows first hand what she is talking about when it comes to the challenges of coping with the change, chaos, and upheaval life causes. From issues related to mental health and trauma to change and innovation, she brings depth and humor to the platform! Find out more about Elizabeth Power, M.Ed. at http://www.elizabethpower.com.